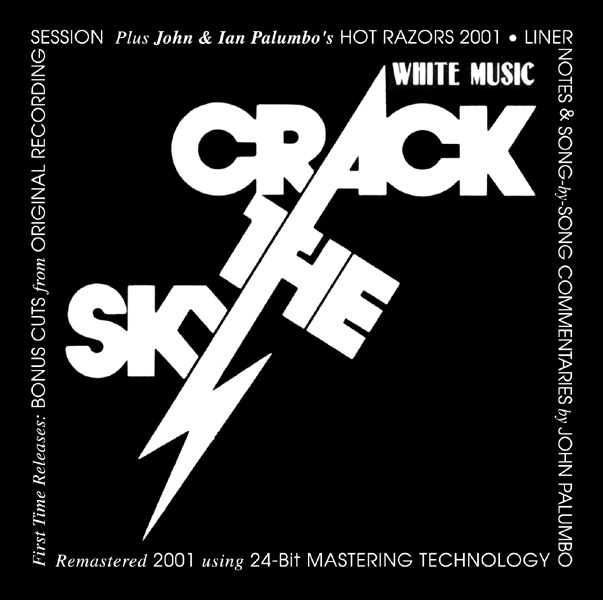 Here is CRACK THE SKY's classic WHITE MUSIC remastered using 24-Bit Mastering Technology. While listening, read first hand the real story behind each song and the making of this album with liner notes and song-by-song commentaries by Lead Singer, Writer, and Producer, JOHN PALUMBO. As a Bonus, we've included two songs that were recorded in the original sessions but were not on the original album. Hear how the whole process starts with John, a guitar and a small home tape recorder on the also included POPTOWN Demo Cut. As a Special Bonus, John has given us HOT RAZORS (f2). This is the feature cut for this CD. It is from JOHN & IAN PALUMBO's album, f2.